We are very fortunate to have a staff of individuals who believe in and are truly supportive of UCAN’s mission. Our staff is dedicated to providing the best care possible for every animal that the clinic serves. Without their experience and tireless professionalism, we could not accomplish what we do every day. 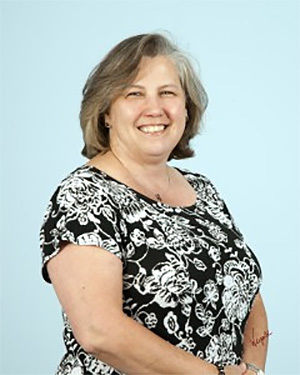 Melanie has been the Executive Director of UCAN since July 2012. She was a member of the Board of Directors of UCAN for several years prior to that, serving as a Director, then as Vice-Chair and eventually as Chair of the Board. Her focus as Executive Director is grant writing, development, marketing, risk management, and community outreach to help as many pets as possible. 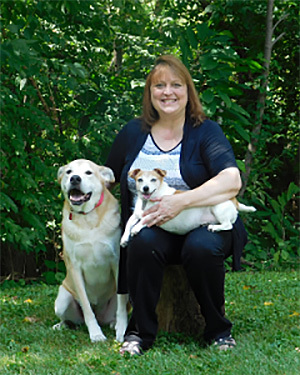 Melanie became interested in spay/neuter after volunteering at a no-kill shelter for 9 years. She became frustrated when after celebrating each adoption, more animals just kept coming in to fill the empty cages. She realized that spay/neuter was the solution, so she became involved with UCAN. Prior to UCAN, Melanie worked as an attorney in private practice for 25 years, focusing on profit and nonprofit corporate law, general business law and securities law. Melanie enjoys playing with her 5 rescue animals, two dogs (Peanut and Blackie) and three cats (Katniss, Grayson and Calypso). 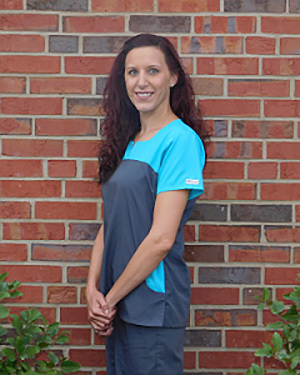 Jessica joined UCAN in February 2014 as the clinic manager. She is responsible for the day-to-day operations of the clinic. She had previously worked in the veterinary field for 8 years at Banfield Pet Hospital and in management for over 15 years. She attended St. Cloud State University where she acquired a major in Psychology and a minor in Sociology. Working at UCAN has been very rewarding for Jessica, it has been a great way for her to combine the love she has for both people and pets alike. 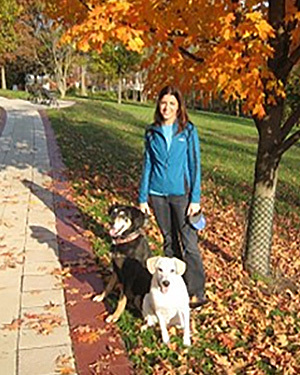 Jessica has called Cincinnati home for the past four years with her rescue dog, Olive, and her cat, Baghera. Amy joined the clinic in January 2014. 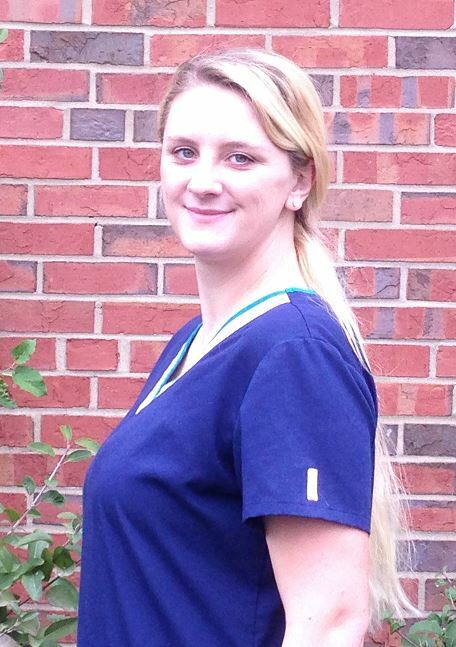 She previously worked for Banfield Pet Hospital for 8 years, gaining substantial experience in veterinary medicine. Amy has experience in many aspects of small animal veterinary medicine and finds particular interest and joy in surgery and UCAN's mission. 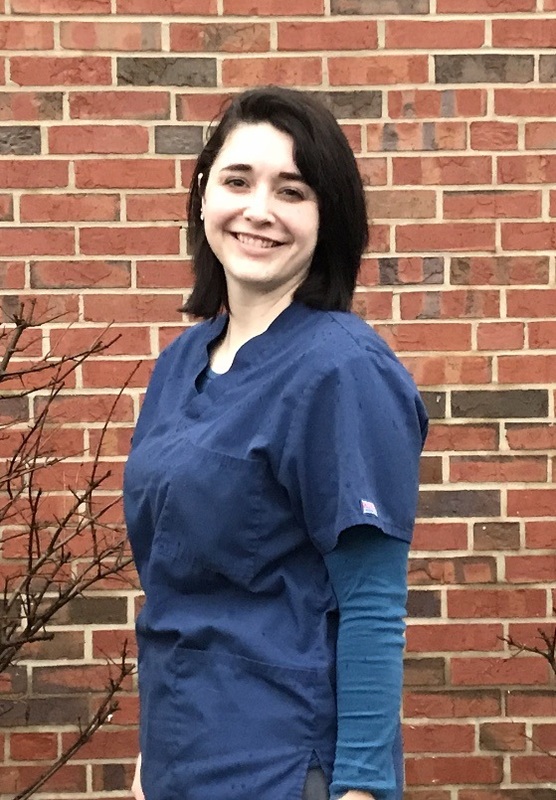 Amy grew up in Northeast Ohio where she graduated with a Bachelor of Science Degree in Zoology and pre-veterinary medicine from Kent State University. She went on to receive her doctorate of veterinary medicine degree from The Ohio State University in 2005. She has had many pets of a wide variety since a child. She currently has a happy and energetic Lab mix named Indy. 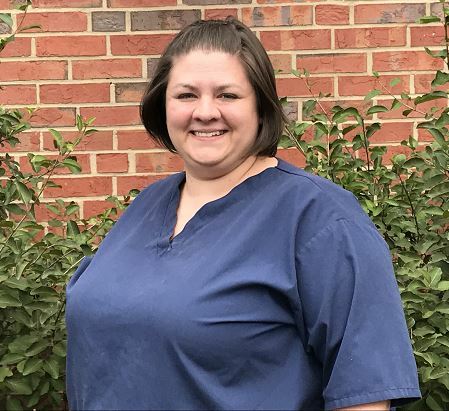 Samantha relocated from Alabama to Northern Kentucky and started working at UCAN in May 2018. She graduated from the University of Illinois College of Veterinary Medicine in 2006. Samantha is excited to support UCAN’s mission to decrease pet homelessness through spay and neuter. Samantha lives with her husband, 4 kids, 3 dogs and 2 cats. She enjoys spending time with her family and gardening. Sarah started at UCAN in September 2016. She completed her Associate of Applied Science Degree in Veterinary Technology in 2012 from Brown Mackie College. In the evenings, she teaches dog agility classes and spends most of her weekends showing her rescued dogs Shasta, an Australian Shepherd, Hemi, a Border Collie and her Sheltie, Sasha. Her house is also shared with four rescue cats, Callie Marie, Tabby Jean, Thumper Ash and Stormy Faith. Elsa started at UCAN in January 2019. She obtained her Associate of Applied Science Degree in Veterinary Technology in 2014 from Brown Mackie College. Elsa lives in Campbell County, Kentucky. Her hobbies include going to the movies, doing crossword puzzles, spending time with friends and family, including her 7 month old Cornish Rex, Luna. Kate first began working for UCAN in August 2015 as a Registered Veterinarian Technician. 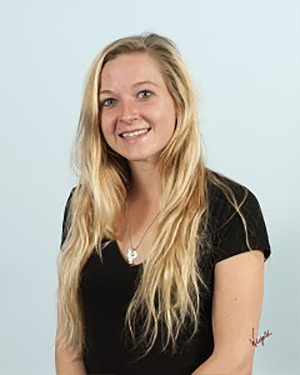 Kate graduated from Brown Mackie College in August 2015 with an Associate of Applied Science Degree in Veterinary Technology. Kate resides in Boone County, Kentucky and loves spending time with her boyfriend, Nathan, and her Boxer mix, Zelda. 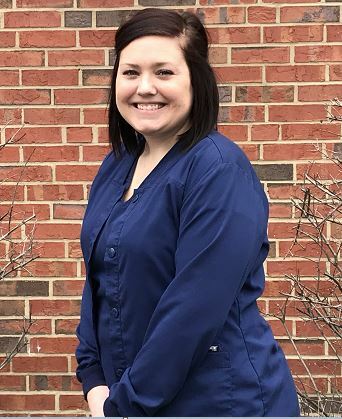 Shelby first began working for UCAN in August 2014, first as a Surgical Aide making surgical packs and then as a Veterinary Assistant. Before UCAN, Shelby worked at Banfield Pet Hospital in Mason for two years. She has a son who means the world to her. Shelby's family also includes two cats, Miss Polly and Zaps, and three dogs, a Dachshund named Darla, a Shih Tzu named Carl and a Boxer Pointer mix named Patty. 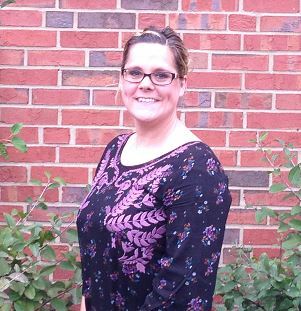 Mindi started working at UCAN in April 2015. Prior to that she worked in the veterinary field for ten years. 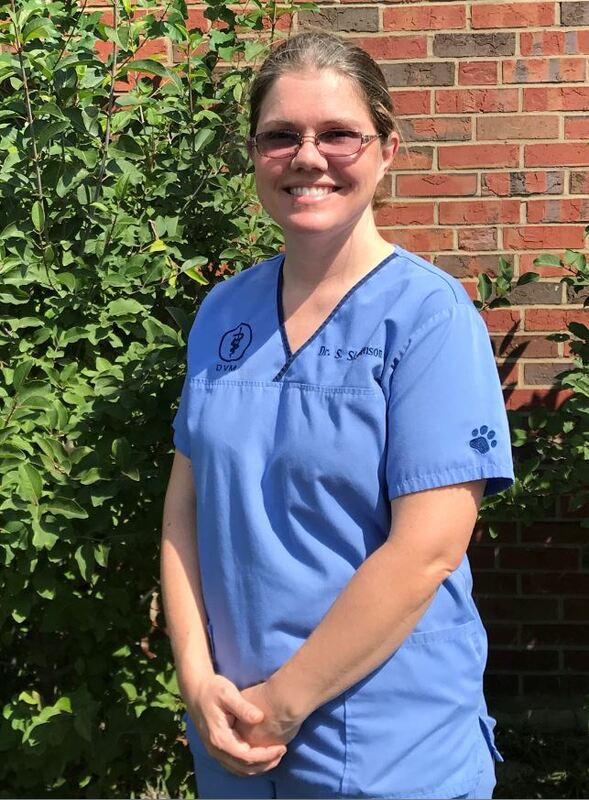 Mindi is responsible for putting together all of the surgical packs for surgery, cleaning instruments and cages and otherwise assisting the medical staff as needed. Mindi enjoys spending lots of time with her son, Mason, and her dog, Newt. 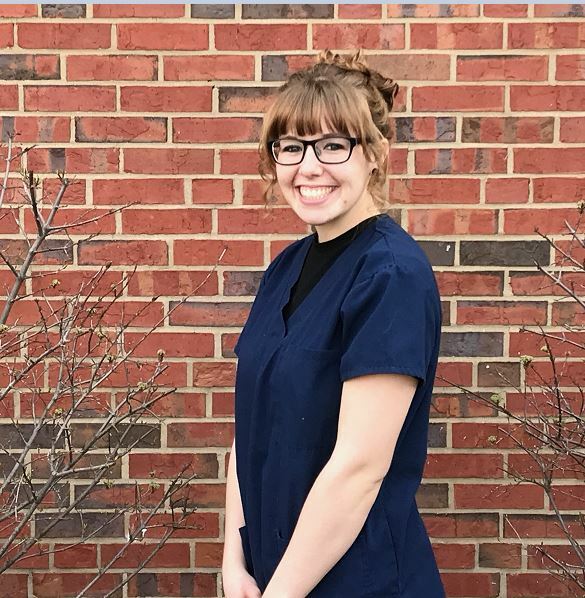 Morgan started working at UCAN in January 2018 as a Veterinary Assistant. 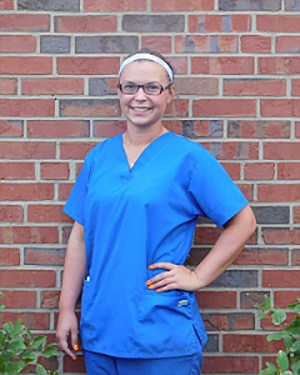 Morgan completed her internship at Onslow Animal Hospital in Jacksonville, North Carolina. Morgan lives in Morning View, Kentucky with her husband Daniel. Morgan’s family also includes two fur babies, a Terrier/Beagle mix named Hailee and a black cat named Potter. 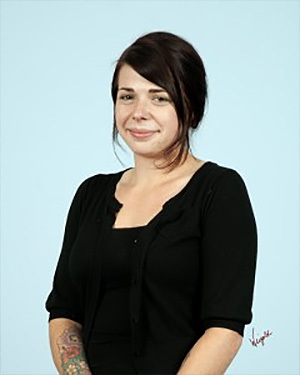 Mollie started at UCAN in August 2012 as a receptionist at our front desk. After taking a break to attend school, Mollie came back in December 2014. Mollie graduated from Northern Kentucky University in December 2016 with a degree in Criminal Justice. She will begin school to obtain her master's degree at the University of Cincinnati this May, while working part-time at UCAN. She performs the invoicing for all of the clients who obtain services at the clinic each day and also assists with many other tasks. Mollie is crazy about Boston Terriers and is particularly crazy about her own sweet Boston, Bailee, who she loves dearly. Kelly started at UCAN in June 2017. Prior to joining UCAN, she was in the nursing program at Cincinnati State. She then went on to work in private home healthcare. She lives in Hamilton County with her husband and three kids including her dog, Lola, and three cats, Pretty, Squirrel and Prince. Erin began working at UCAN in October 2013. She is responsible for scheduling the clients on all of the free transports that UCAN schedules. She completes the admission paperwork for clients over the phone and assists them in checking-in on the mornings of the transports. She and her partner, Edward of ten years, have three crazy rescue dogs, Timmi, Jack and Scarlett. 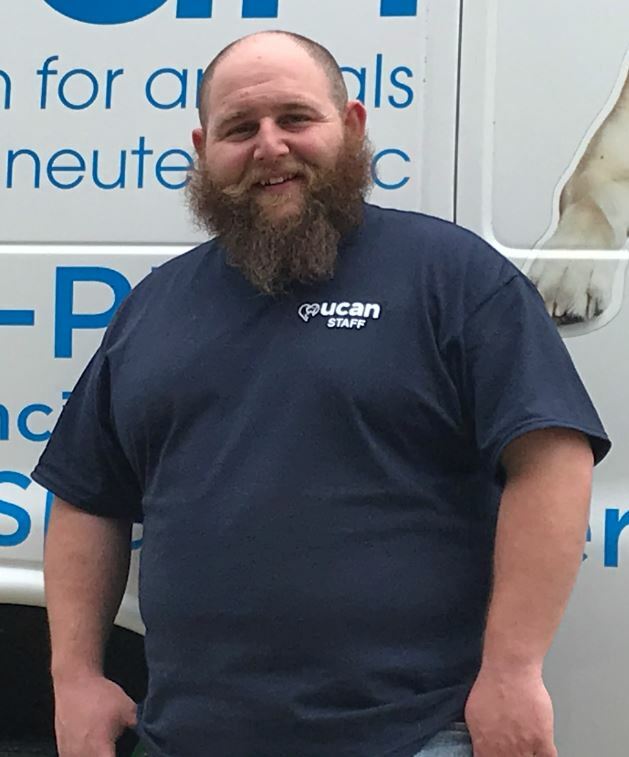 Ben Bookbinder joined UCAN in March 2019. He takes extraordinary good care of all of the animals on our free transports from various locations, so everyone has access to our low-cost services. He is also responsible for keeping our facilities and transport vehicles in good working order and repair. Ben moved to the Cincinnati area in August 2018 from Concord, California, where he was the Vice President of the Bay Area Animal Rescue Crew. Ben enjoys working with all animals, including elephants. One of his most memorable experiences was working with elephants in Chiang Mai, Thailand. Ben is also an active member of the Loyal Order of the Moose. He is excited to support UCAN’s mission and help stop pet homelessness through spay and neuter. He currently resides in Clermont County. His hobbies include fishing, hunting, outdoor activities and motorcycles. Donna, along with her husband Dale, are natives of Kentucky. She began working as an Executive Assistant at UCAN in 2012. She helps with marketing, donor communications, fundraising events and much more! Prior to UCAN, she was an Administrative Assistant in two local law firms for over 13 years. Donna and Dale have two grown children, Christopher and Crystal. She enjoys working with all of the farm animals on her children's farms. Donna enjoys being able to help so many people and animals at UCAN.